In Windows press CMD (Win) + R buttons > in the appeared search bar type in devmgmt.msc > click OK, it will get you to Device Manager. Unwrap Display adapters tab and check if Parallels Display Adapter (WDDM) is present and not marked with a yellow question. If the adapter is not present, right click and Uninstall any other adapters in Display adapters tab. Keep only Video Controller (VGA Compatible) adapter. Then click Action at the top of Device Manager > choose Scan for hardware changes. If there is a question mark on Parallels Display Adapter (WDDM) adapter, right click it and choose Uninstall, then click Action at the top of Device Manager > choose Scan for hardware changes. If it did not help, check step 1. Open the virtual machine configuration when it is in a shutdown state > Hardware > Graphics > Advanced Settings > make sure 3D acceleration option is set to DirectX 10 and Vertical synchronization is checked. Set the amount of video memory according to the Windows applications' requirements (e.g. in case you use graphics applications which require high video memory, set in in accordance with system requirements). Virtual machine consumes more host RAM. Windows apps are smart — they adapt to a larger amount of video memory and start to load textures with higher resolution. This increases guest RAM consumption because guest DirectX keeps a copy of its resources in the RAM. Therefore, if you increase video memory you should also assign more RAM to the virtual machine. Mac OpenGL also keeps a copy of its resources in the host RAM. 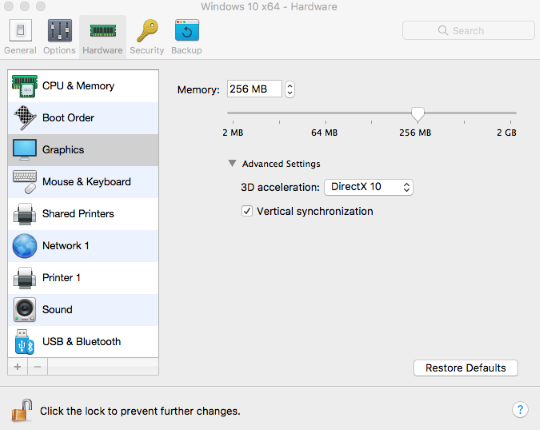 Virtual video memory almost does not depend on the Mac video card and Mac video memory. While you’re operating the virtual machine, textures and other guest video data are transmitted to the host OpenGL. OpenGL decides whether to collect this data in the host RAM or the host video memory. 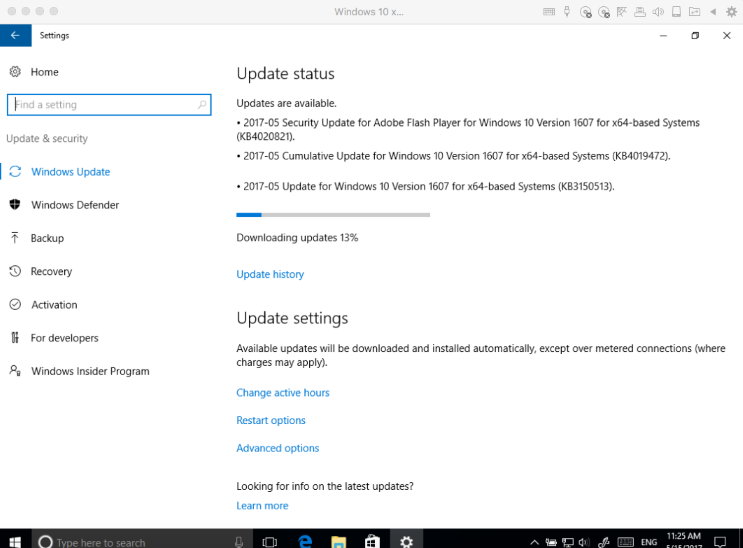 Click Start menu button > Settings > Update & security > check Windows updates' status, make sure your system is up to date. 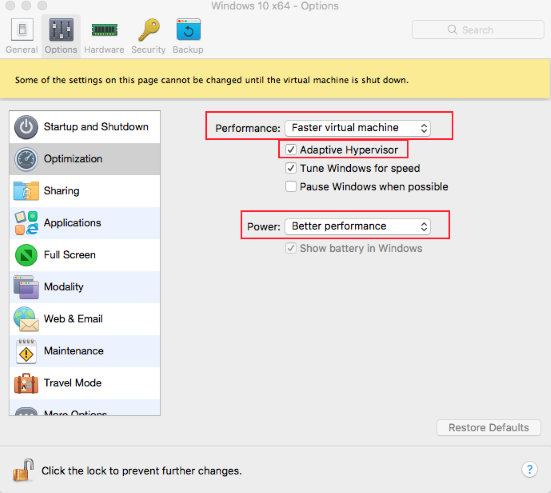 Open the virtual machine configuration > Options > Optimization > set Performance value to Faster virtual machine and Power value to Better performance, make sure Adaptive Hypervisor is enabled. Go to Task Manager in Windows and Activity Monitor on the Mac and make sure there are no processing on each side which consume too much CPU (more than 80%).